Icy Installer is an alternative to Cydia, a service that allows you to install applications on your iPhone without going through the App Store. Icy Installer is an old alternative solution that was abandoned before being updated by a 13-year-old hacker. 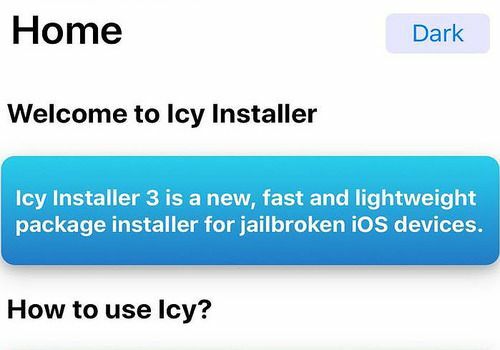 Icy Installer was originally developed for iOS 2.x and 3.x before being ported to more recent versions of the iPhone and iPad operating system. Icy Installer was designed to be lighter and faster than Cydia. Today, Icy is fully compatible with iOS 11 and offers a modern design (a night mode is even implemented). After Cydia's death, announced halfway by Jay "Saurik" Freeman. Icy Installer is now an alternative solution. Who said Jailbreak was dead?